Two bare-footed white girls stand near a house, each holding a pail. 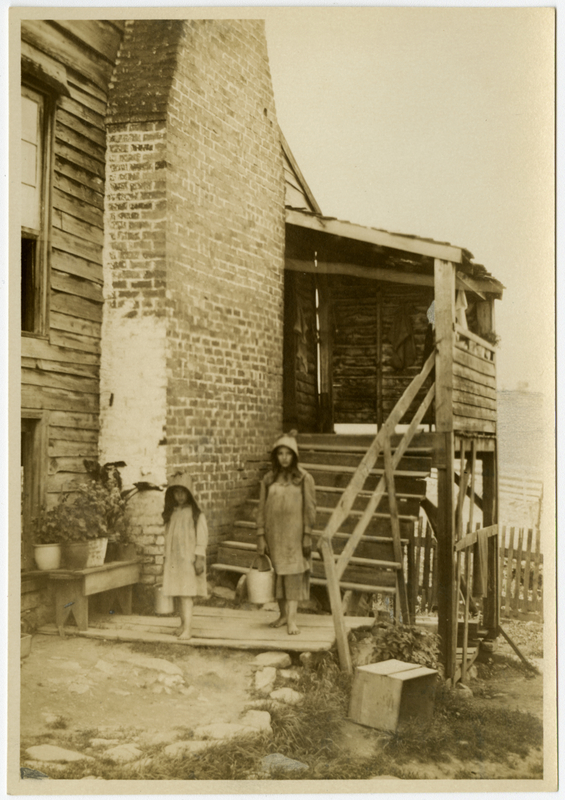 A staircase behind them leads towards the entrance and a large brick chimney is on the side of the house near them. Johnson, Clifton, 1865-1940, “The great chimney,” Digital Amherst, accessed April 22, 2019, http://digitalamherst.org/items/show/5143.